​Lutheran churches require a variety of vestments and vessels that reflect the seven seasons of the church calendar, from Advent to Pentecost, as well as nearly a dozen festival days. Additional space was needed near the sacristy to store these items so they would be easily accessible for the Altar Guild. Our design solution provided them with 100 sq. ft. of easy-access storage as one part of a much larger expansion project. The new addition includes multi-purpose space with a commercial kitchen, new administrative offices, larger restrooms, and a music rehearsal room, none of which could be accommodated in the original building. "The Hammel Associates staff was honest, thorough, calm, and attentive. They patiently understood that congregations often take longer than the business world to arrive at a decision, and they provided helpful, detailed guidance for church leaders who had never before been involved in a building project. Our newly expanded lobby has more than fulfilled our hope of providing a welcoming and hospitable space - truly the crossroad of the facility - linking workshop, education, music, and service." 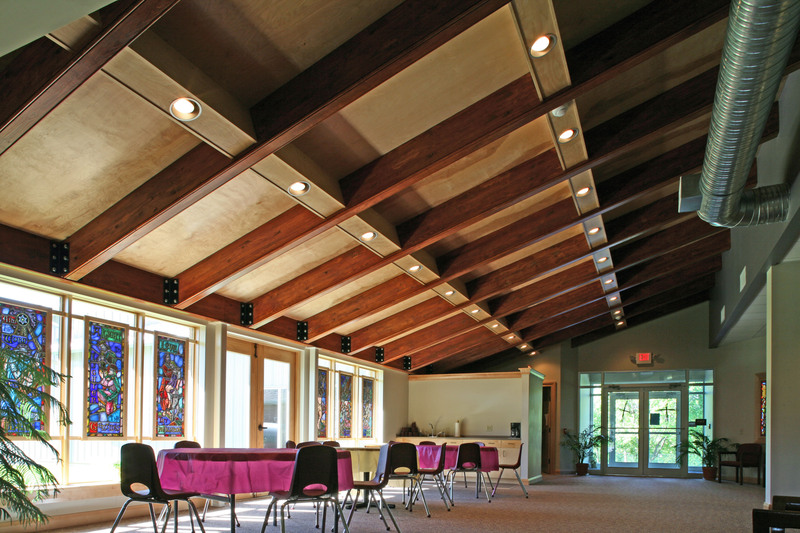 The needs of this church were so vast, it was difficult for the committee and congregation to visualize the overall impact it would have on their existing building. The architectural rendering stimulates enthusiasm and support for the project, allowing the congregation to visualize the outcome and unifies them in support of the project. The expanded narthex provides room for mingling, greeting, and socializing before and after services. 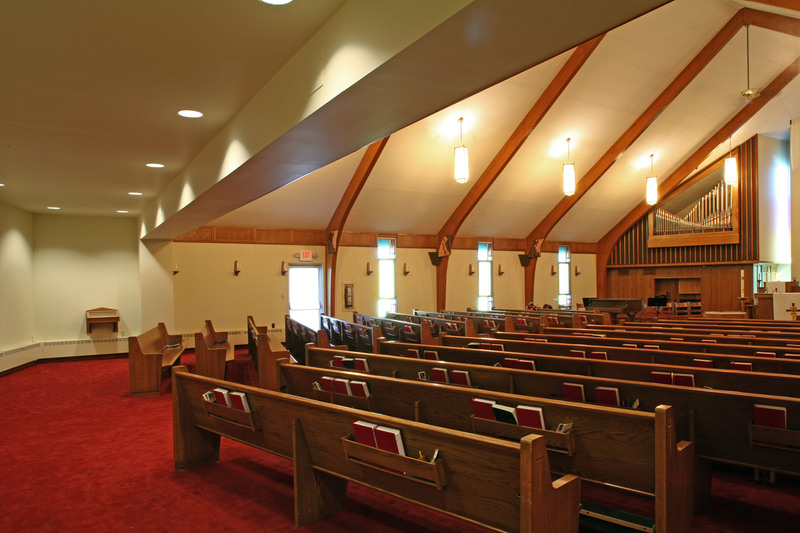 It is also a multi-purpose space used for church programs and presentations. The expanded sanctuary now provides comfortable seating for many more people, has ample space for musicians and choir, and a beautiful larger sacristy. Behind the sacristy, concealed from the congregation's view, is the newly expanded storage space where all the altar vestments are kept. 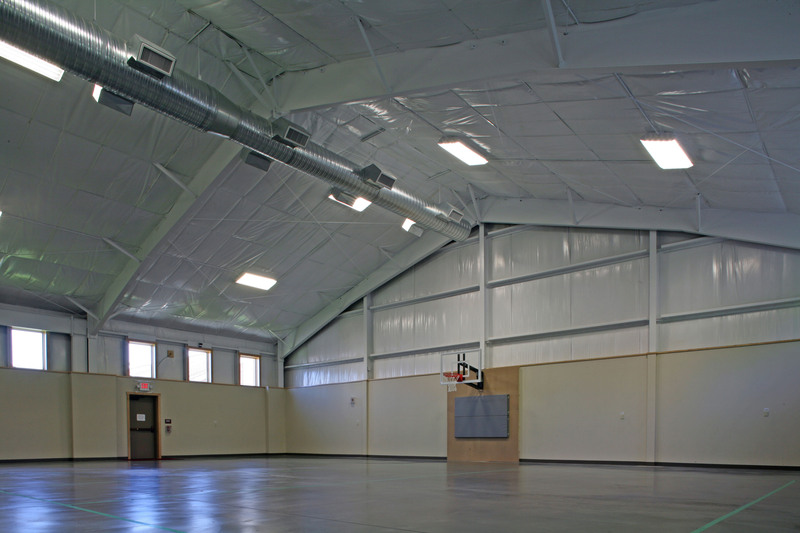 The vast space in the new multi-purpose room allows the church to expand its involvement and outreach with neighborhood and community groups, and provides room for more congregational activities and events.